RGB color grid? Mais ouis! Here, though, add in velocity-sensitive touch strips, too. Product photos courtesy Livid Instruments. 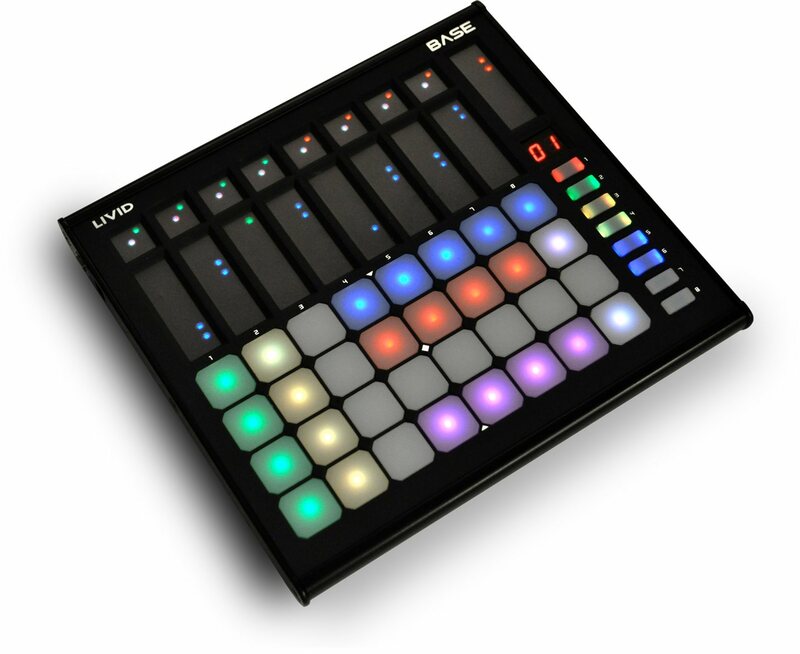 So, other than lots of new analog monosynths, the one thing we now have lots of is grids of RGB pads. Livid is betting you want your touch-sensitive, pressure-sensitive pads paired with some touch faders. 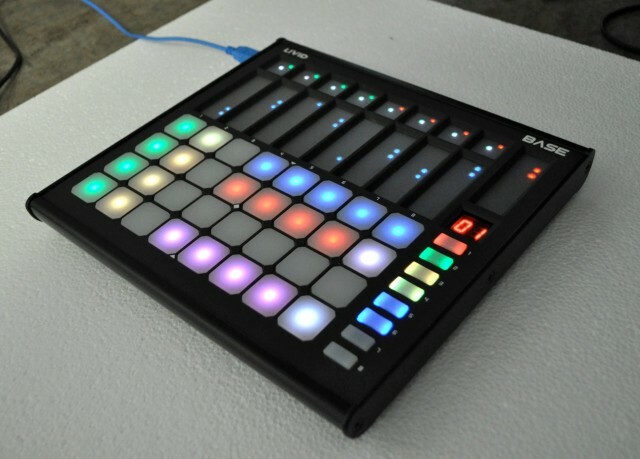 So, unlike offerings like KMI’s QuNeo and Ableton’s Push, the grid at the bottom is coupled up with a set of strips for fader control at the top. That opens up some flexibility for expression or as a control surface. 4×8 grid = 32 pads (so, two groups of 16 pads if you want to think of it that way). All-aluminum body, extruded aluminum frame. Editing software for reassigning controls, and setting fader display modes (“walk,” “fill,” “EQ,” and “spread”). USB bus-powered and driverless / USB class compliant. 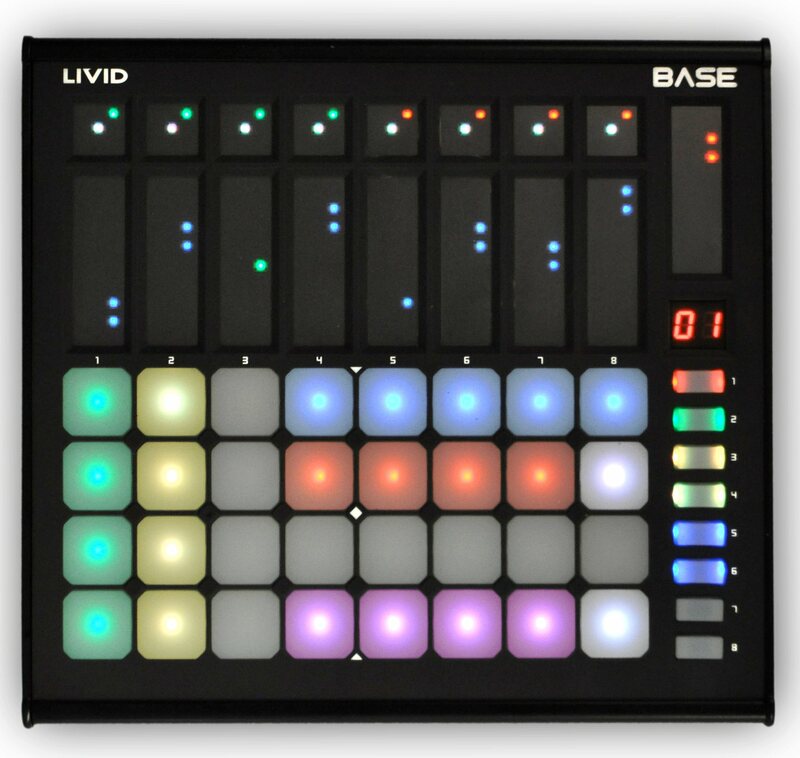 Of course, if you hate this new-fangled stuff, see things like Livid’s Alias 8, which uses conventional faders and knobs and absolutely no light-up disco color pads.